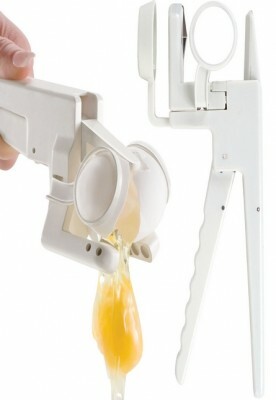 Egg cracker and separator is the perfect way to cook with eggs at just the squeeze of a handle. 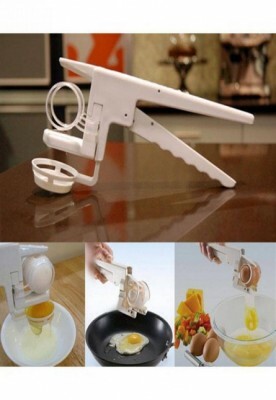 This simple design allows you to crack open eggs without any mess or bits of shell in your food. 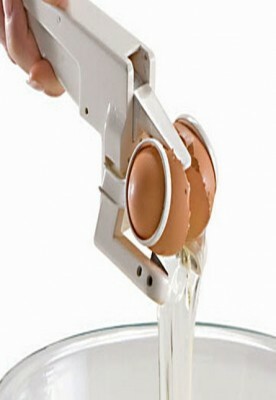 Simply insert an egg into the cradle and squeeze to instantly crack and release the egg from its shell.